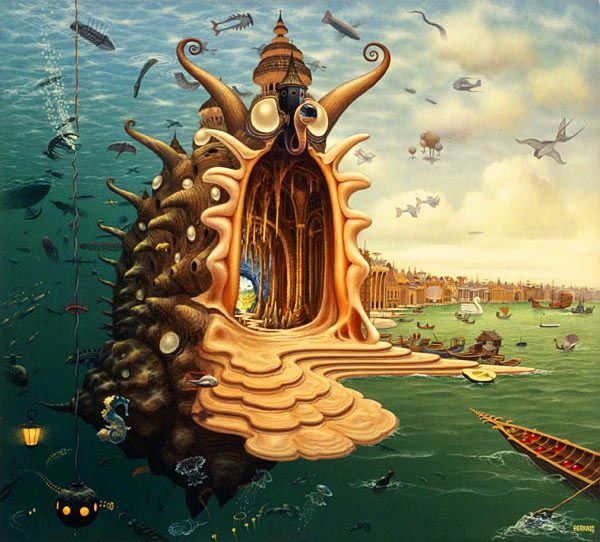 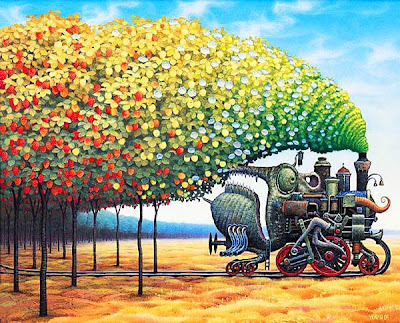 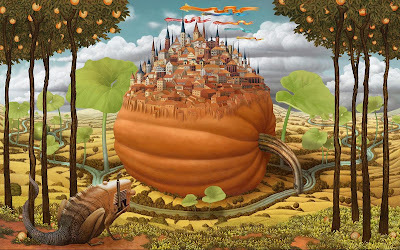 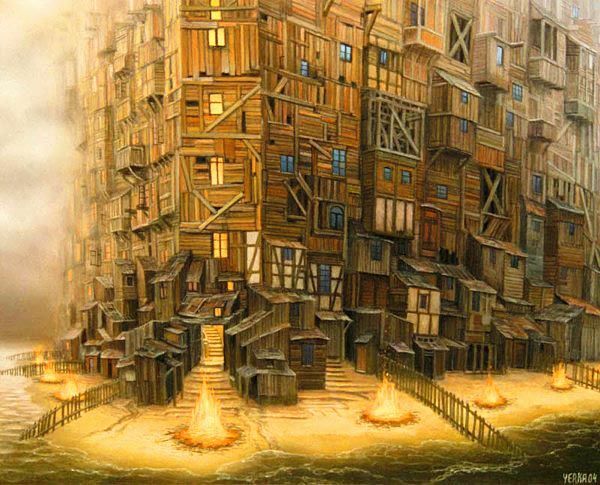 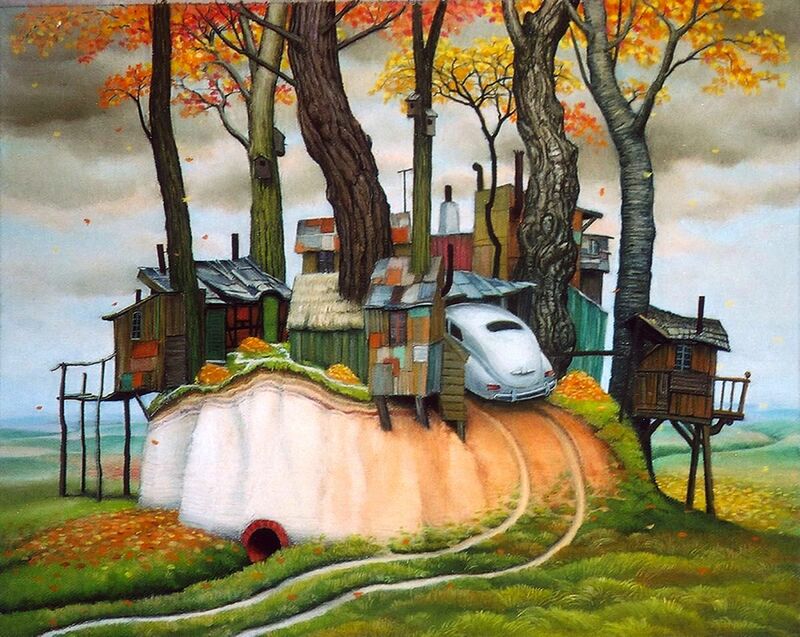 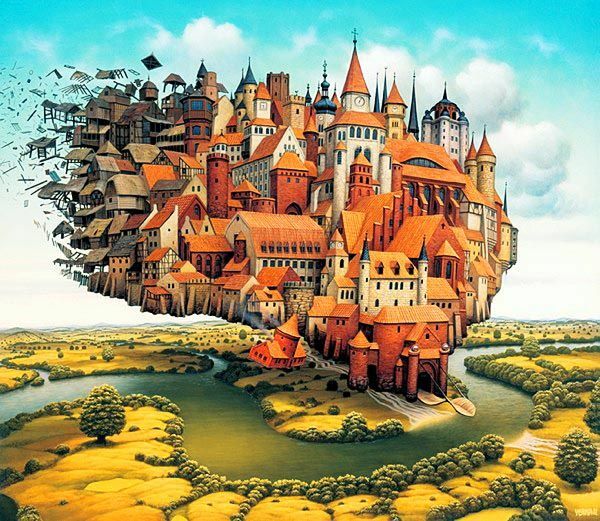 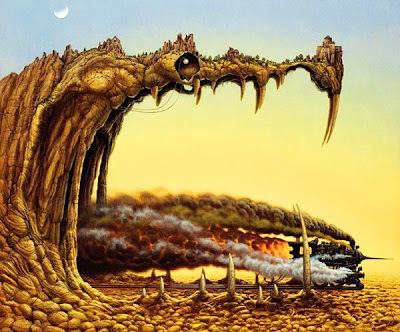 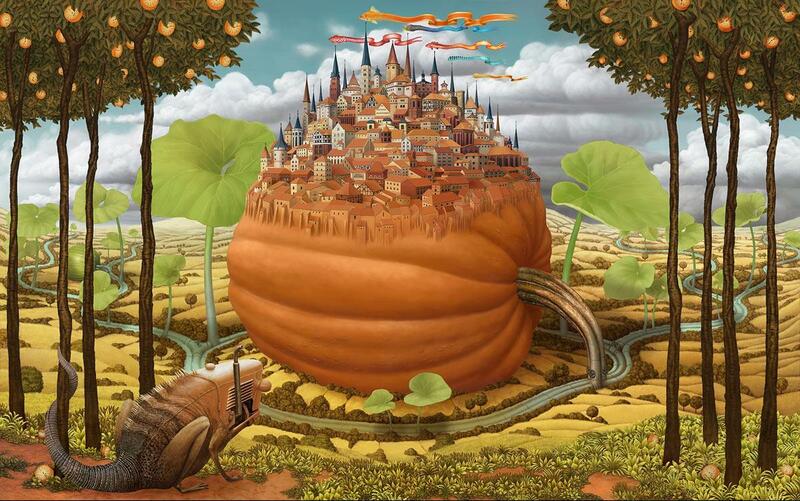 FuSt 360: Fantastic illustrations by Jacek Yerka . 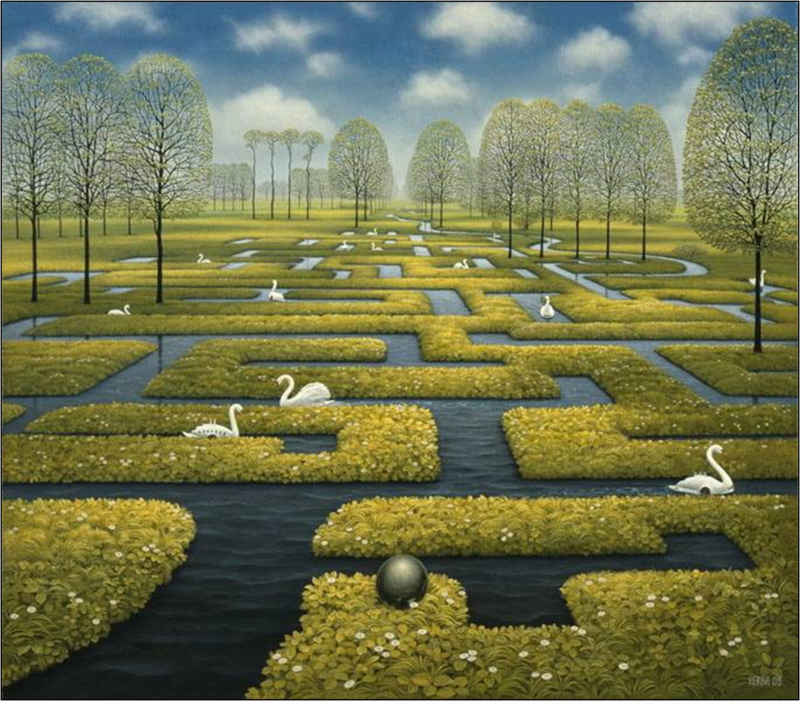 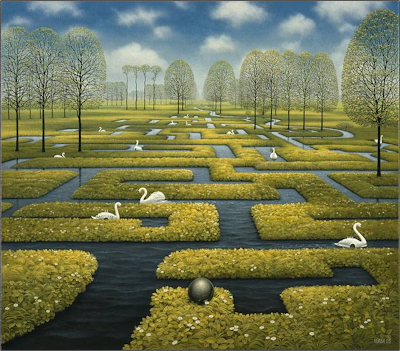 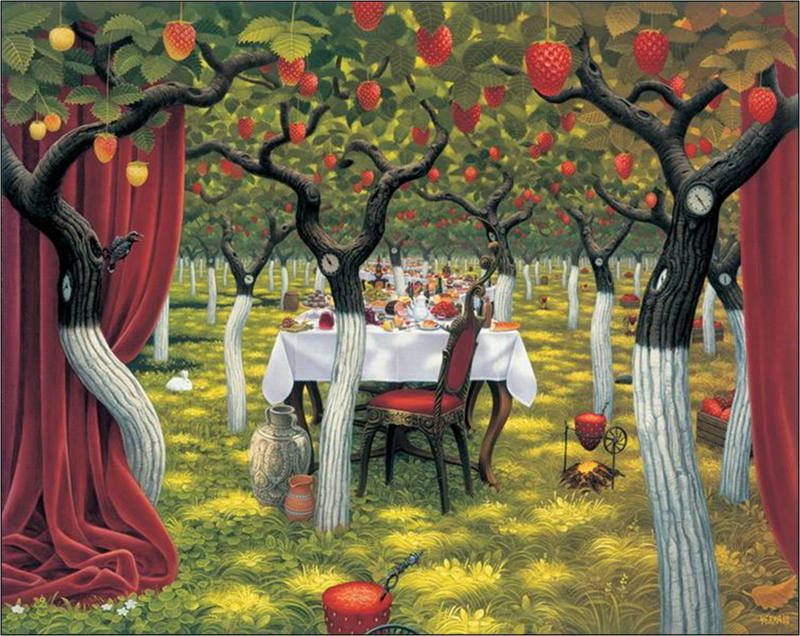 Jacek Yerka was born in Toruń, Poland, in 1952 - where he later studied fine art and graphic design. 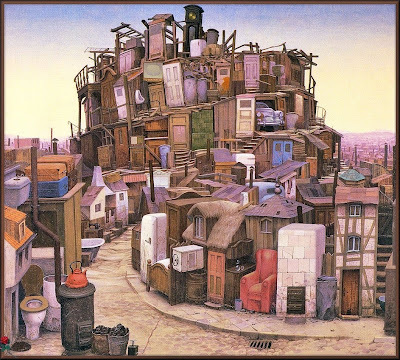 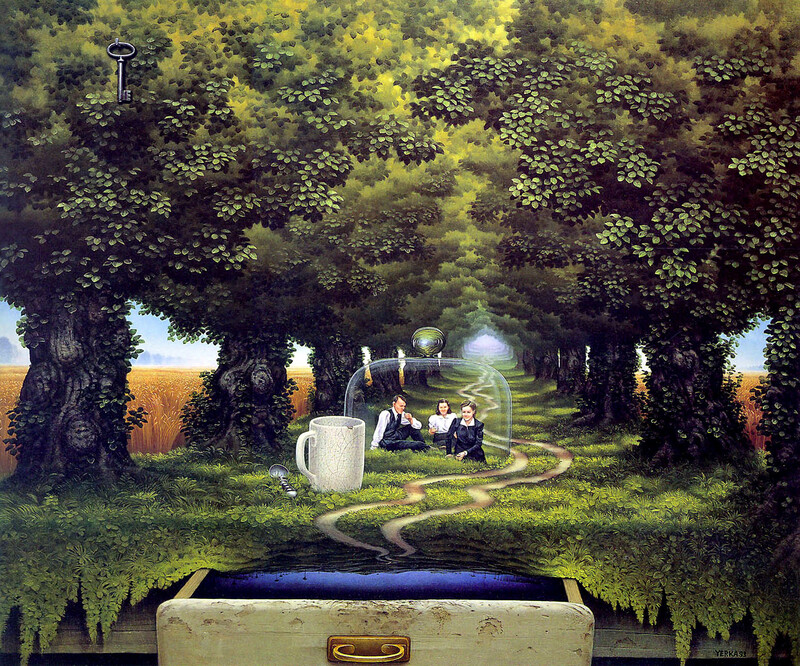 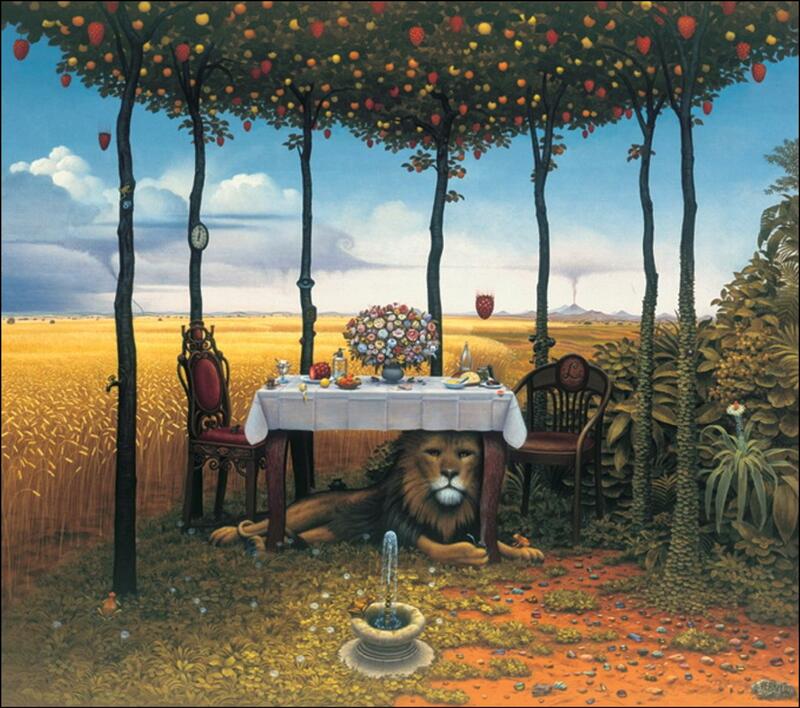 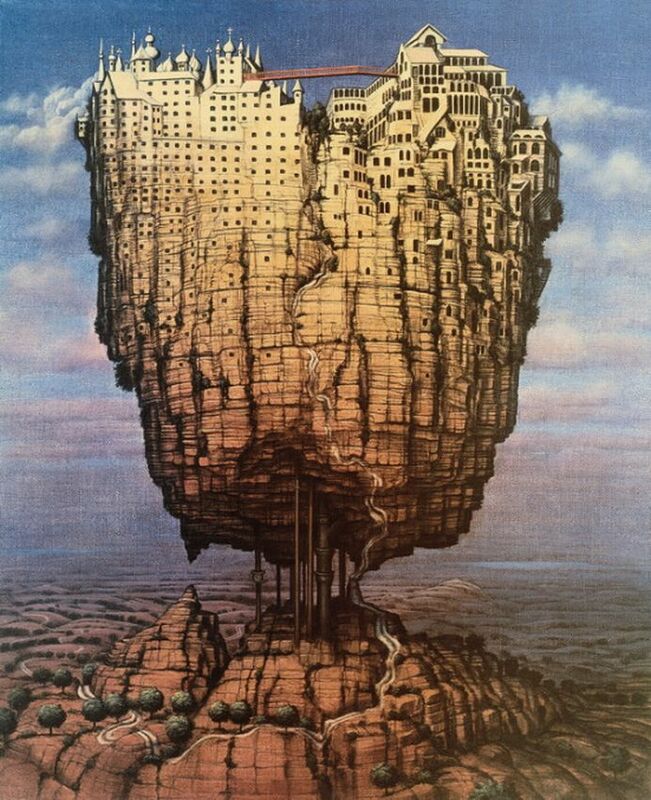 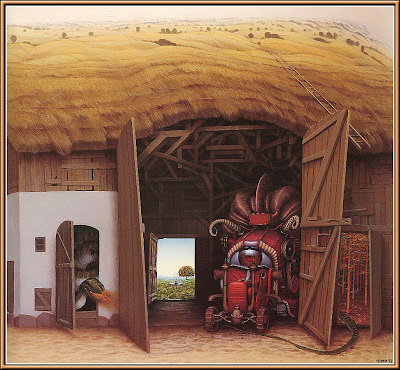 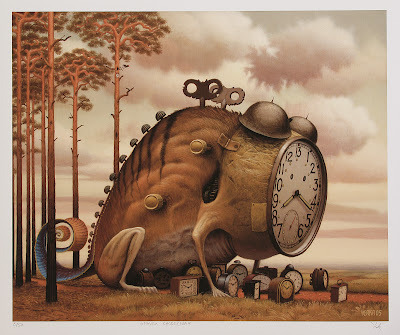 According to Yerka, he was pressured by his university instructors to eschew detail and realism in favor of the fashion of the times - but did not relent, adhering to the meticulous classic Flemish technique that still typifies his work. 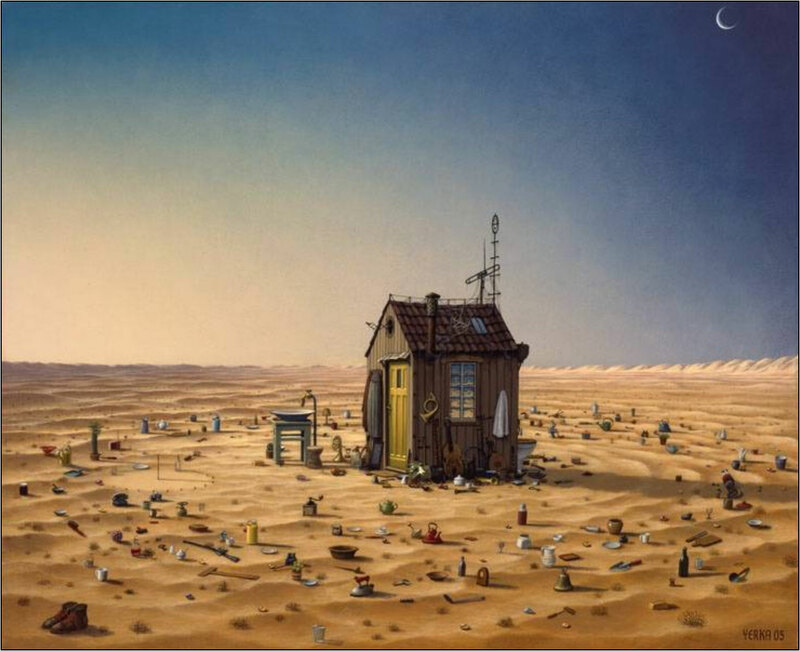 In time they came to see him as a brilliant - though troubled - talent. 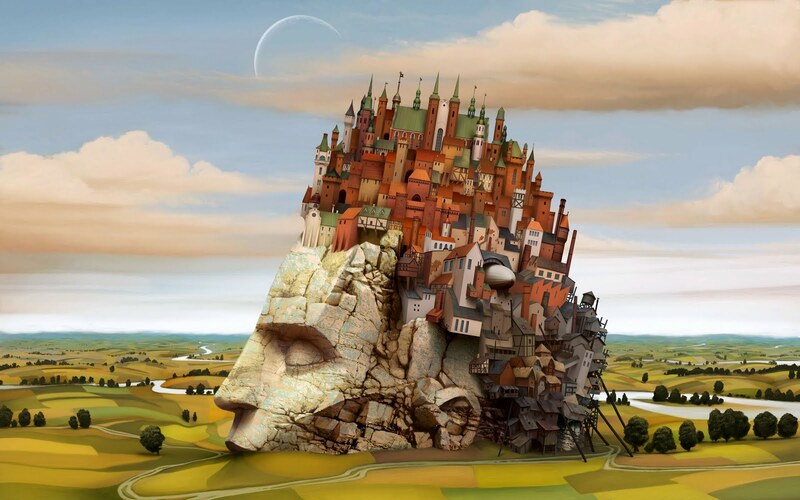 Yerka graduated from the Faculty of Fine Arts at Nicolaus Copernicus University in Toruń, specializing in printmaking. 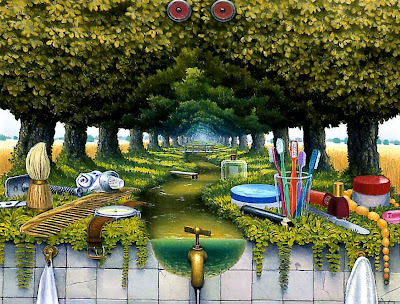 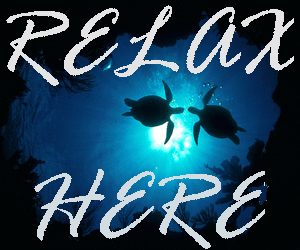 He began working full time as an artist in 1980. 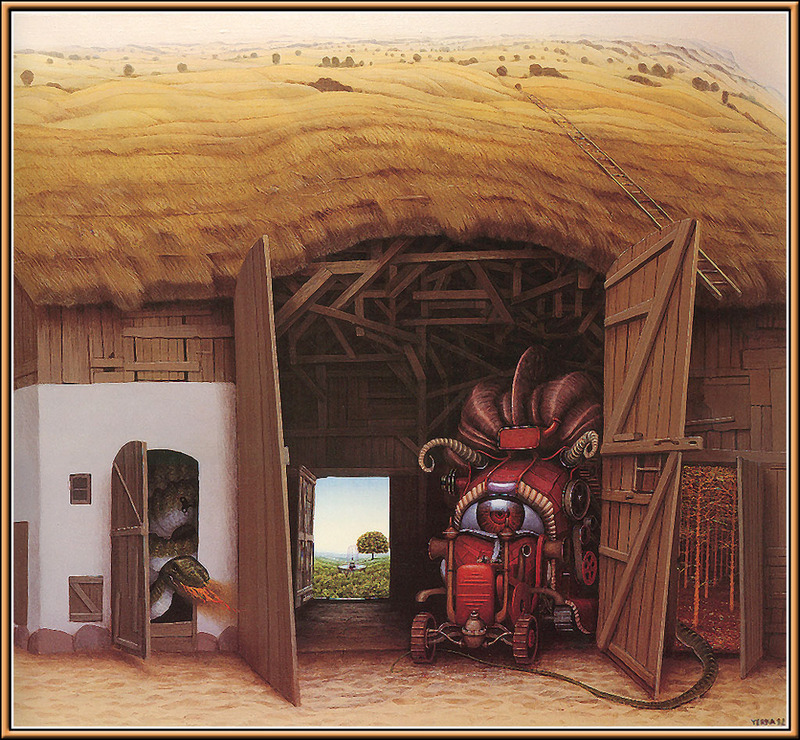 Yerka cites Hieronymus Bosch, Pieter Bruegel, Cagliostro, Jan van Eyck, and Hugo van der Goes as formative influencers of his work. 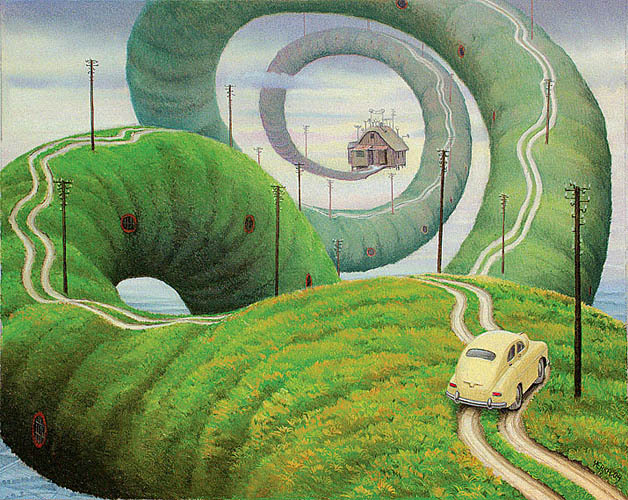 His subject matter ranges from odd beasts to whimsical landscapes incorporating extraordinary architecture, and include imagery gleamed from his childhood, such as his grandmothers kitchen. 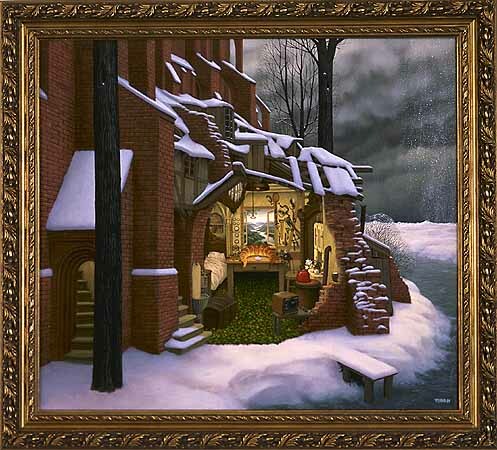 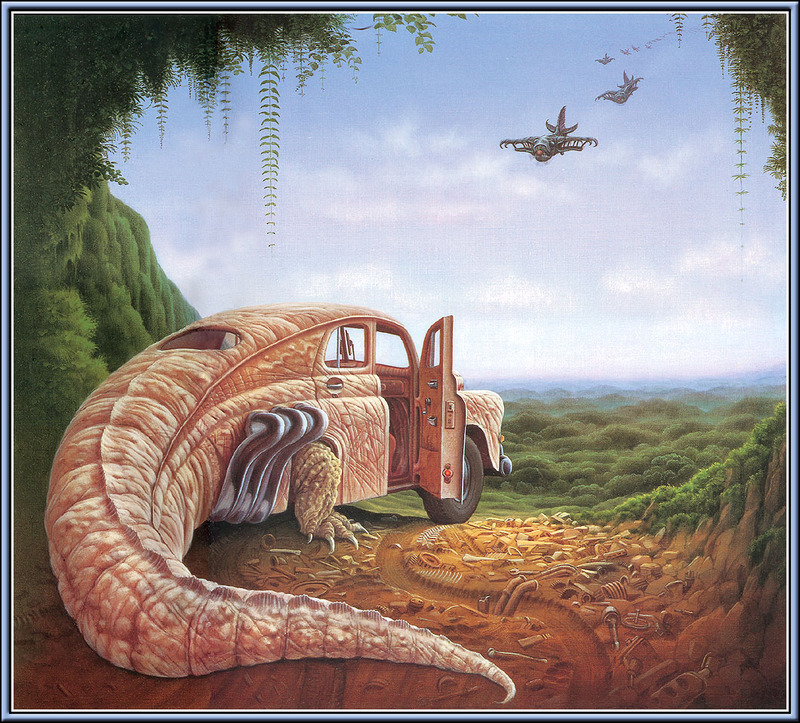 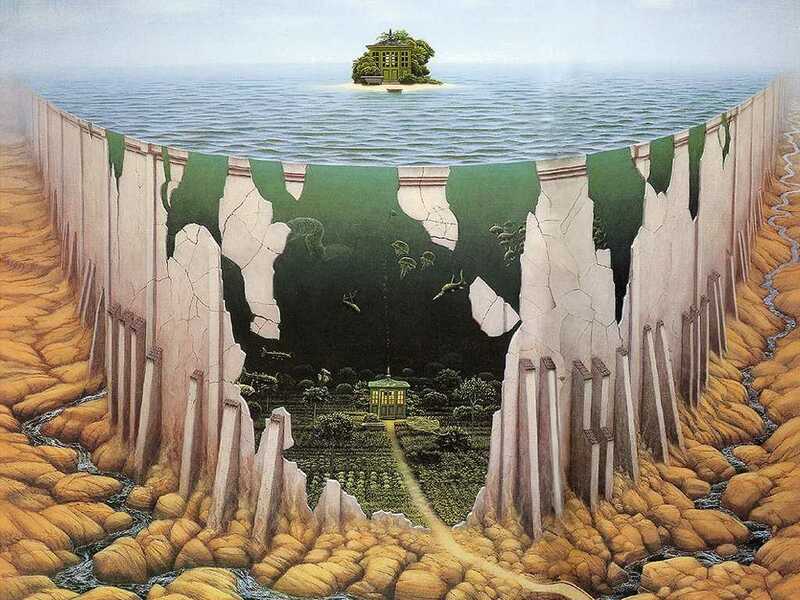 Says Yerka, "For me, the 1950s were a kind of Golden Age ... If I were, for instance, to paint a computer, it would definitely have a pre-war aesthetic to it." Work typically progresses from a graphite sketch, to crayon drawing, then a pastel comp, and finally an acrylic painting. 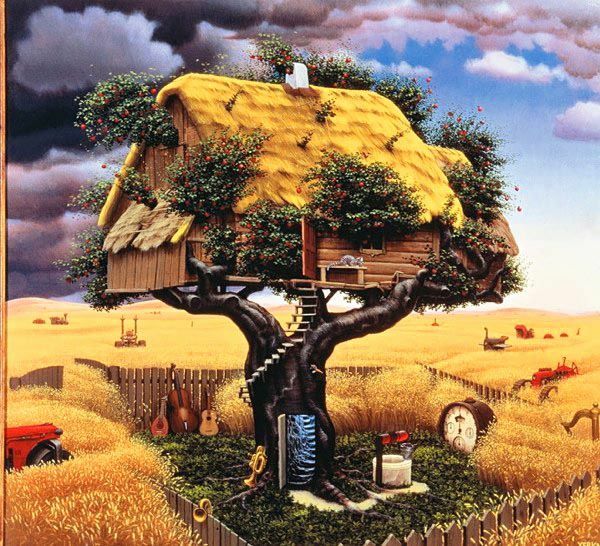 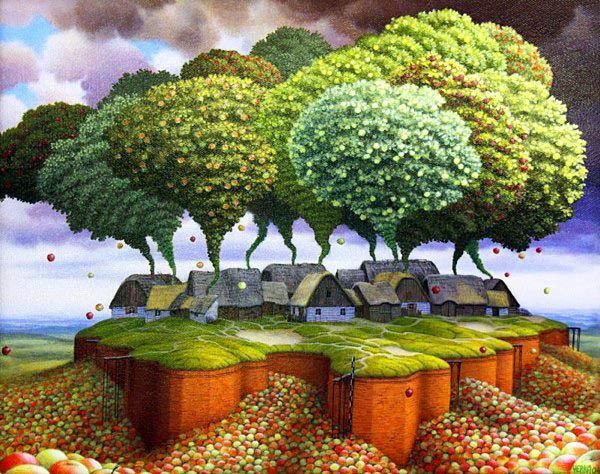 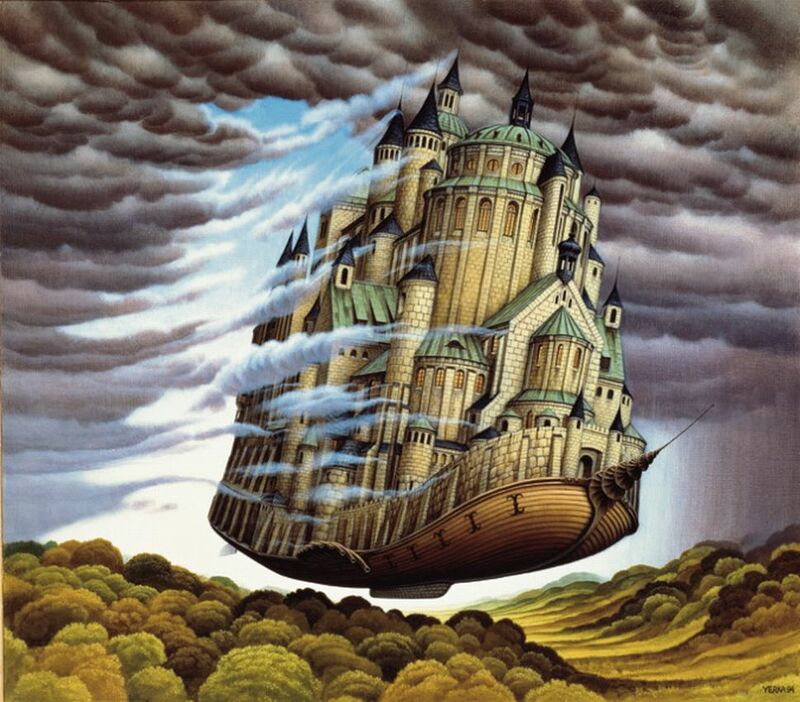 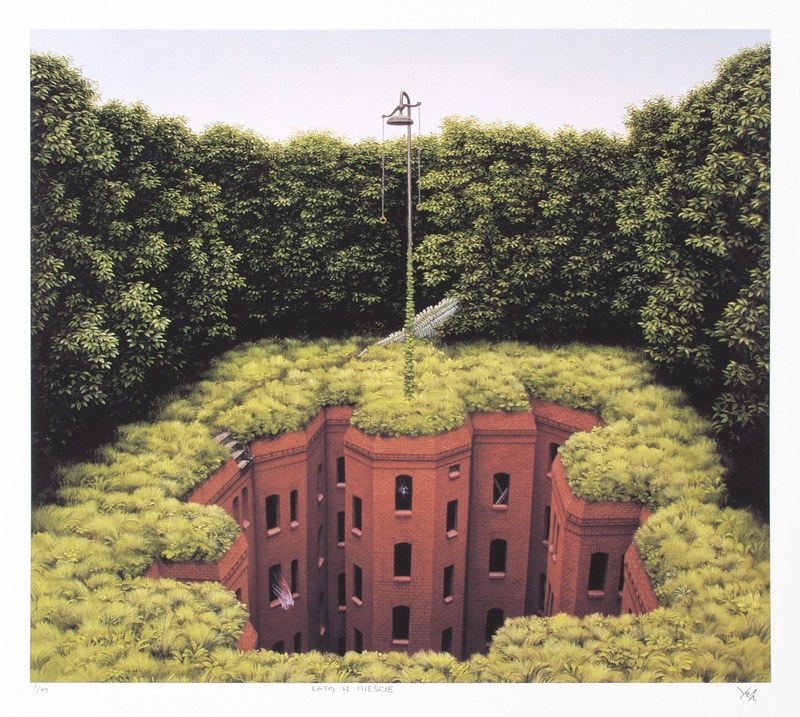 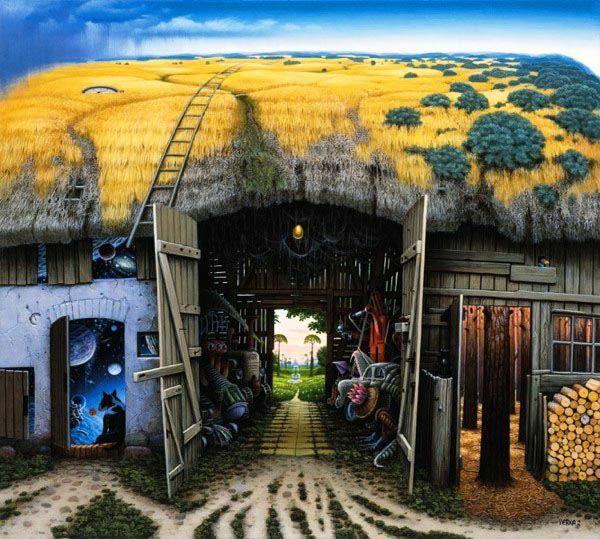 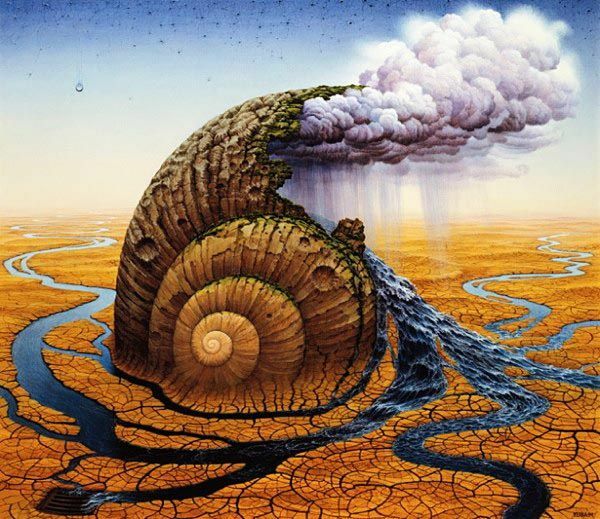 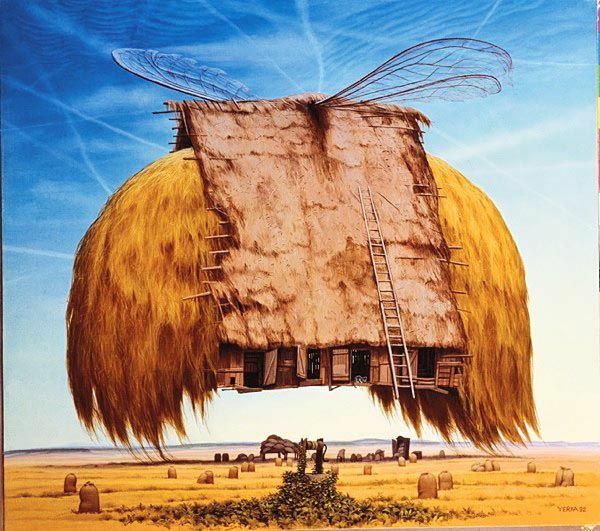 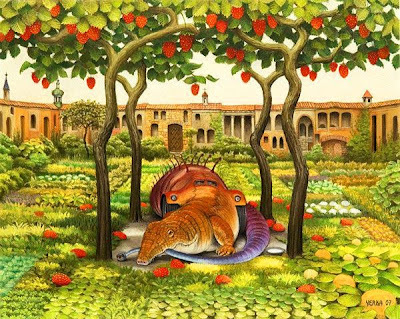 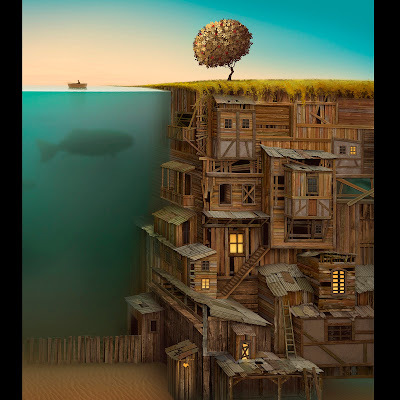 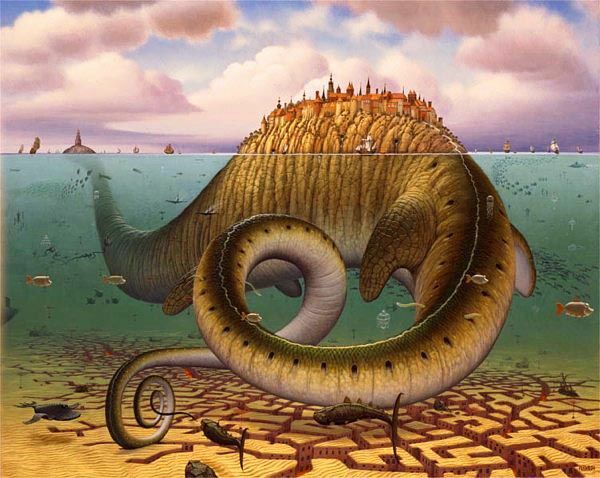 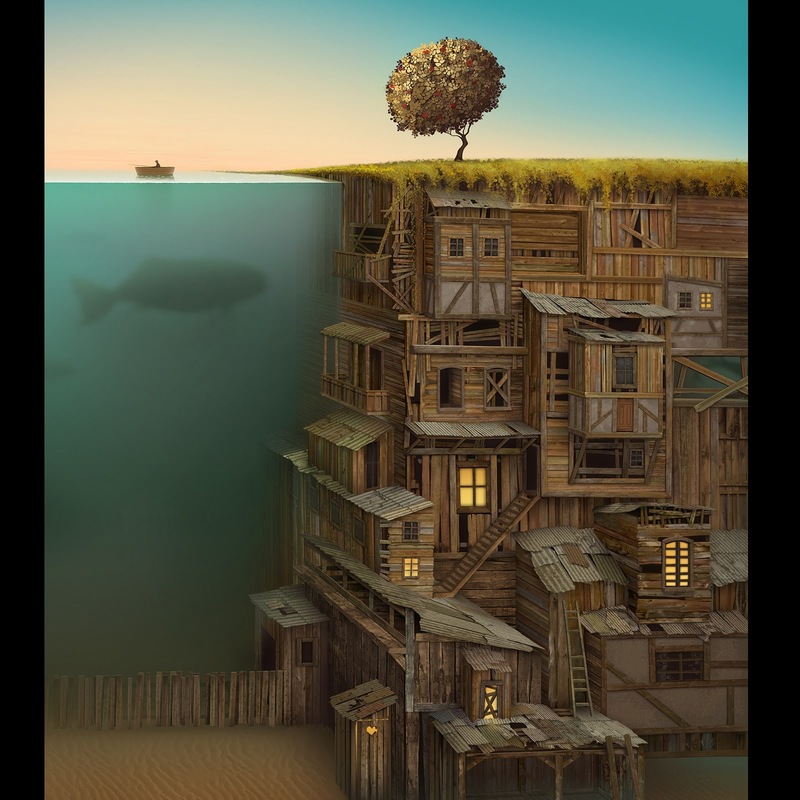 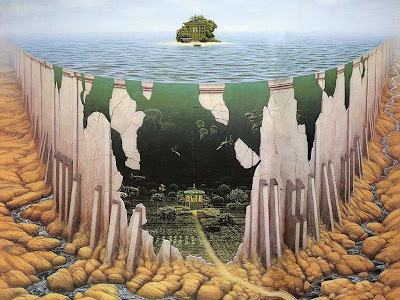 Yerka's work has been exhibited in Poland, Germany, Monaco, France, and the United States, and may be found in the museums of Poland.